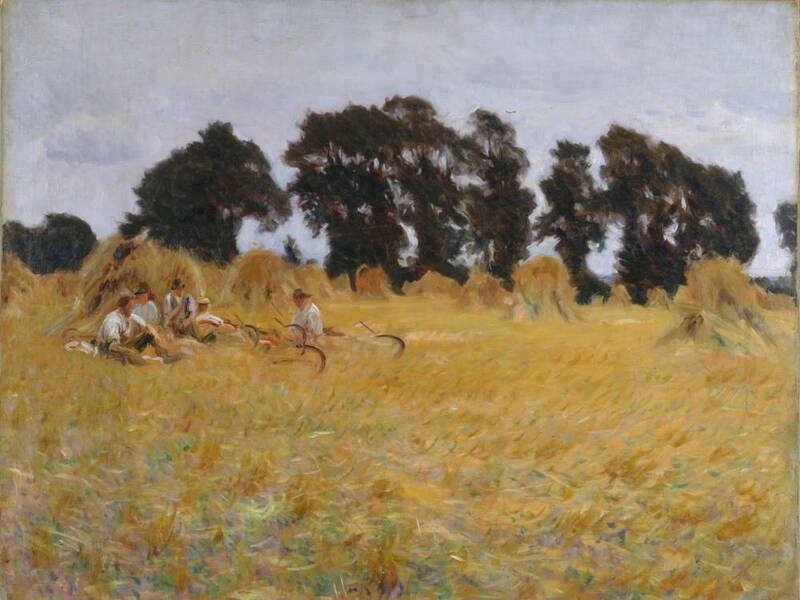 Reapers Resting in a Wheat Field. John Singer Sargent. 1885. Oil on canvas, 40.96 x 60.96 cm (16 1/8 x 24 inches). Courtesy of the Metropolitan Museum of Art, New York (50.130.14), Gift of Mrs. Francis Ormond, 1950. Click on image to enlarge it.